We all trust our doctors to have our best intentions at heart, and to make sure we get the care and treatment we need. Doctors have always taken detailed notes of each patient’s health history, medical requirements, and their own recommendations as to how to proceed with treatment. But when was the last time you asked to see those notes for yourself? And do you have the right to see medical notes kept by professionals that concern your health and wellbeing? The simple answer is yes, you do have the right to see them. The right of access to data applies to medical notes, and you can exercise this right to see them at any time by making a subject access request. The ICO notes that medical practices have reported a marked increase in the number of subject access requests since the introduction of GDPR in May 2018 by patients who want access to their medical data. Why would you want to look at your notes? Fundamentally, what happens to your body or your mental health is your business. You have every right to know what your medical team have recommended, what notes are being kept, and how those notes are affecting the way your health is managed by your GP, medical professionals or mental health experts. The UK Information Commissioner’s Office has issued guidance to help people understand what rights to access they have. - The purpose for which you make a subject access request is not relevant, so a GP cannot query your reason for requesting access to your personal medical records, and cannot refuse access to your information. - They can, however, ask you or your representative to clarify the information you want to access. This might be relevant if they hold a significant amount of information and you are looking for particular pieces of information in particular. This means they can narrow down the information that is relevant to your specific request. So, for example, if you have been diagnosed with cancer, you can ask to see all the notes pertaining to the diagnosis and treatment of your condition. - Medical professionals can allow patients digital access through an online portal to their records if so requested. This may be done routinely if records are held electronically, as there is no requirement to print paper copies unless this is requested. Any information provided electronically has to be safeguarded so that it cannot be ‘hacked’, so there will need to be security measures in place, such as digital encryption. - Legal representatives or third parties can request access to your medical records on your behalf, but medical professionals will be cautious about giving out any information unless it’s to the patient themselves. The GP may ask for clear evidence that a patient has given their representative the authority to access their records, and will refer back to the patient if they believe that more information than necessary is being requested. - If the practice are concerned about as to whether the representative has authority from the patient, or believe the amount of information sought is excessive, GPs can choose to provide the patient with the information directly, rather than giving it to the representative. The patient can then decide for themselves how much of that data they pass on to their representative. - Medical professionals do have the right to refuse a request if they believe it could cause serious physical or mental harm to the patient, or if the information you have requested relates to someone else and you do not have their express permission to access the data. - If you have asked for medical data and your GP has refused, you can then pursue the matter further either through the practice manager, or by making a complaint to the Information Commissioner. Often, medical information is requested by a patient who may feel that the treatment they have received has contributed to a deterioration of their condition, or by a relative who may have questions as to how a member of their family is being treated. This often happens in medical negligence cases, which can be exceptionally complex in nature. 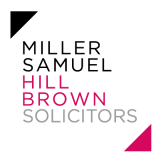 If you want to see your medical records and are being denied access by your medical care professionals, you may have to consider talking to a legal expert who specialises in data access or medical claims to help you resolve the situation.